In the United States, nearly 80 million people, or one in four has some form of diabetes or pre-diabetes. What’s worse, both type 1 and type 2 diabetes among children and teens has also skyrocketed. Between 90 and 95 percent have noninsulin-dependent or type II diabetes. Formerly called adult-onset, this form of diabetes usually begins in adults over age 40, and is most common after age 55. Nearly half of people with diabetes don’t know it because the symptoms often develop gradually and are hard to identify at first. The person may feel tired or ill without knowing why. Diabetes can cause problems that damage the heart, blood vessels, eyes, kidneys, and nerves. Recent data, reveals that, between 2007 and 2015, incidence of type 1 diabetes among children under the age of 19 rose by 21 percent. Incidence of type 2 diabetes among children aged 10-19 rose by 30 percent during that same timeframe! Conventional Medicine Has It All Wrong. Statistics such as these points to two very important facts. First, it tells us that diabetes cannot be primarily caused by genetics, and secondly, it literally screams that something we’re doing, consistently and en masse, is horribly wrong, and we need to address it. Conventional medicine has type 2 diabetes pegged as a problem with blood sugar rather than the underlying problem of improper insulin receptor function and the role of inflammation. The reality is that diabetes is a disease rooted in insulin receptor dysfunction and more importantly, a malfunction of inflammatory signaling. Before we get into the nitty-gritty of causes and treatments for diabetes, let’s clarify the difference between type 1 and type 2, and the emergence of what some are now referring to as “type 3” diabetes. The terms “pre-diabetes” and “metabolic syndrome” also need to be explained. Pre-diabetes, also known as impaired glucose tolerance, is a term used to describe an earlier state of progressing insulin resistance. It is conventionally diagnosed by having a fasting blood sugar between 100 and 125 mg/dl. Pre-diabetes is very easy to turn around. Simply swapping processed foods for whole organic foods lower in sugar and sugar-forming carbohydrates combined with a few minutes of daily exercise will quickly put you on the road to reversing this condition. Metabolic syndrome. As your insulin resistance progresses, your liver makes too much sugar and fat, and your skeletal muscles are less able to burn them and make glycogen, which is how glucose is stored in your muscles and liver. In turn, there is an increase in sugar and fats in your bloodstream which leads to high triglyceride levels and increased body fat–especially abdominal fat, and higher blood pressure. Having 3 or more of a group of symptoms caused by insulin (and now we also know leptin) resistance — high triglycerides, low HDL, higher blood glucose and blood pressure, and increased belly fat—is referred to as metabolic syndrome (in the past it was called Syndrome X). Type 1: insulin-dependent diabetes. 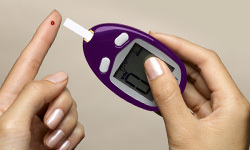 Traditionally, type 1 diabetes develops before the age of 20. It used to be relatively uncommon, but as noted above, its incidence is rapidly rising. Type 1 diabetes is classically an autoimmune disease in which your immune system destroys the insulin-producing cells of your pancreas, resulting in an inability to produce any significant insulin which that, if left untreated, will cause death in days to weeks from a hyperglycemic coma. This deficiency of insulin is why type 1 is called “insulin-dependent” diabetes. There is currently no known way to completely reverse this. However recent research suggests glimmers of hope. For example, Columbia University scientists claim that by turning off a particular gene, human gut cells can be converted into cells that produce insulin in response to dietary sugar. The symptoms of diabetes may begin gradually and can be hard to identify at first. They may include fatigue, a sick feeling, frequent urination, especially at night, and excessive thirst. When there is extra sugar in blood, one way the body gets rid of it is through frequent urination. This loss of fluids causes extreme thirst. Other symptoms may include sudden weight loss, blurred vision, and slow healing of skin, gum, and urinary tract infections. Women may notice genital itching. You may suspect diabetes if you have health problems related to diabetes. For instance, heart disease, changes in vision, numbness in the feet and legs, or sores that are slow to heal, may prompt you to check for diabetes. These symptoms do not mean a person has diabetes, but anyone who has these problems should see a doctor. There is no simple answer to what causes type 2 diabetes. While eating sugar, for example, doesn’t cause diabetes, eating large amounts of sugar and other rich, fatty foods, can cause inflammation. Some people who develop diabetes are overweight. Scientists do not fully understand why obesity increases someone’s chances of developing diabetes, but they believe inflammation related to obesity can be a factor leading to type 2 diabetes. A major cause of diabetes is insulin resistance due to insulin receptor dysfunction. Scientists are still searching for the causes of insulin resistance, but they have identified two possibilities. The first could be a defect in insulin receptors on cells. Like an appliance that needs to be plugged into an electrical outlet, insulin has to bind to a receptor to function. Several things can go wrong with receptors. There may not be enough receptors for insulin to bind to, or a defect in the receptors may prevent insulin from binding. A second possible cause involves the process that occurs after insulin plugs into the receptor. Insulin may bind to the receptor, but the cells don’t read the signal to metabolize the sugar. Scientists are studying cells to see why this might happen. Diabetes is the result of the changes in your physiology and the effect of environmental factors, immune reactions, diet and lifestyle. While the chances of developing diabetes increase with age, gender isn’t a risk factor. Weight, physical activity, diet, lifestyle, and family health history may affect someone’s chances of developing type 2 diabetes. The chances that someone will develop diabetes increase if the person’s parents or siblings have the disease. We now know these factors may be related to the chance of diabetes, they are NOT the cause. Type 2 diabetes involves loss of insulin sensitivity. This makes it easily preventable and nearly 100 percent reversible without drugs. One of the driving forces behind type 2 diabetes is excessive inflammatory mediators. These are natural chemicals that your body makes in an attempt to protect us from the toxic effects of chemicals and inflammation. These natural inflammatory chemicals will dramatically increase your risk of insulin resistance, metabolic syndrome, and chronic diseases, including obesity, type 2 diabetes, cancer, heart disease, arthritis, and Alzheimer’s. It’s important to realize that even though these mediators are good for protection, chronic high levels actually reduce the receptor’s affinity for insulin, leading to chronic insulin resistance and elevated blood sugar. So, while you may not notice a steep increase in blood sugar early in life, the chronic exposure is likely changing your entire endocrine system’s ability to function properly. Another major cause of type 2 diabetes is the consumption of the vast amount of glucose derived from the high carbohydrate diet that has been recommended for the last half century by conventional medical and media recommendations. All carbohydrates that are not fiber will be quickly metabolized into sugar, and it makes little sense to eat large amounts of sugar to keep your blood sugar lower. The misconception of the cause of diabetes may be the biggest problem. Conventional medicine describes diabetes as a disease characterized by elevated blood sugar. This “dysregulation of blood sugar control” is typically explained as “an inability of your body to produce enough insulin.” To control diabetes with that view, it would be rational to prescribe insulin or drugs that raise insulin to counteract the elevated blood sugar. The reality however is that type 2 diabetes is NOT the result of insufficient insulin production. It’s actually the result of too much insulin being produced on a chronic basis primarily from eating the high carbohydrate, low fat diet recommended by the ADA and AHA to prevent and treat this. The approach of prescribing insulin, furthers overwhelms your insulin receptors, hence the term “insulin resistance.” It’s the chronically elevated insulin levels that makes your body “resistant” to understanding the signals sent by the insulin. It’s really important to realize that Type 2 diabetes is not caused by elevated blood sugar or “insulin deficiency” per se. The root cause is insulin and leptin resistance which is why prescribing insulin is one of the WORST things you can do for type 2 diabetes, as it will actually worsen your insulin resistance over time. You do not need more insulin. You need to restore the sensitivity of your insulin receptors by keeping levels low! Your body’s cells become desensitized to insulin, leptin, and other hormones, by being overexposed to these hormones—be it by eating food that causes excessive secretion, or by injection. Diabetes treatments that concentrate merely on lowering blood sugar by adding insulin therefore tend to worsen rather than remedy the actual problem of metabolic miscommunication. You don’t have to be a part of the diabetes epidemic that is taking place before your eyes. You merely need to make a important effort to identify the CAUSES of your diabetes. You have to identify any faults in your physiology. You must determine the affect your immune system has on inflammation. You may have to make some lifestyle changes and be mindful about your habits. The changes, detailed above, will prevent you from heading down the diabetes path, and can be the U-turn you’ve been looking for if you’re already insulin resistant or diabetic. None of these strategies are expensive or overly time-consuming. However, they do require a measure of honest reflection and discipline. Now that you have an understanding of what diabetes really is and how it develops, you can steer clear of behavior patterns that harm your health, and incorporate those that will enhance your quality of life. 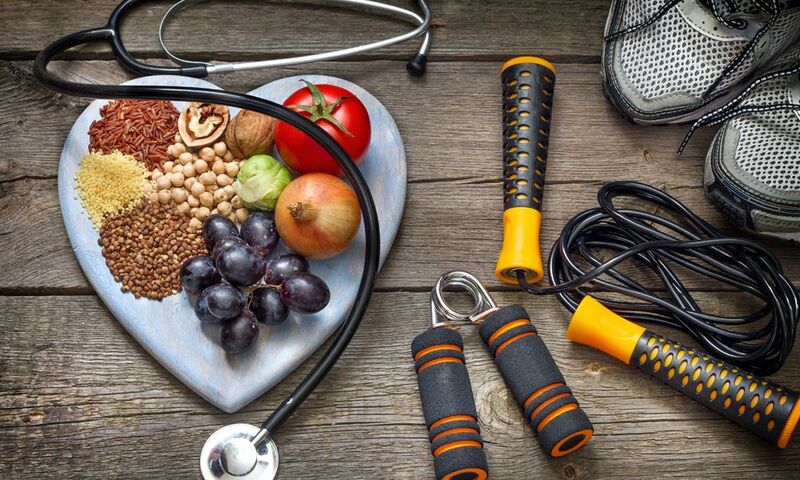 Again, type 2 diabetes involves loss of insulin sensitivity, which is easily preventable, and nearly 100 percent reversible without drugs, by addressing your physiology, immune function, diet and other lifestyle habits. What Actions are you taking toward your future? What are you doing to improve your future? Are you wanting to be active and have quality health as a priority? Reversing your diabetes is not only a benefit for you. Getting healthy can and should be a family activity! When everyone is involved, you can support each other and give kudos for positive strides, making it more fun for everyone. The payoffs to your health will be great, and you will be passing along good lifestyle habits to your friends, family and grandchildren. You will not have to become dependent on them. Rather you will be able to enjoy your lives together for years to come.